“Little Red” 200CFM 110V 2 headed Ruwac. 25′ Hose included in price. 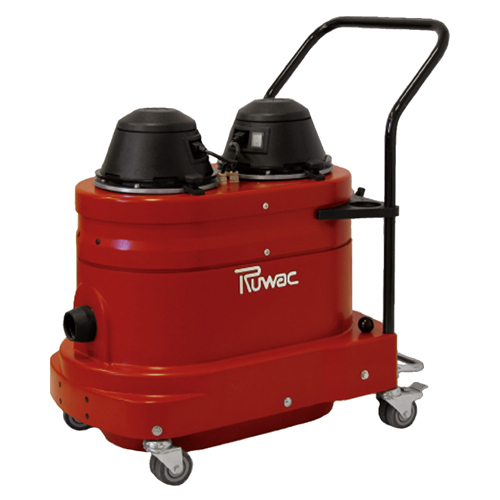 Great contractor tough vac for concrete dust. All self contained shaker bar filter cleaning system. Will run for hours on end and filter lasts for 3-5 years w/ continued use. Will keep up to 2-7” grinders, tuckpointers and handheld saws.